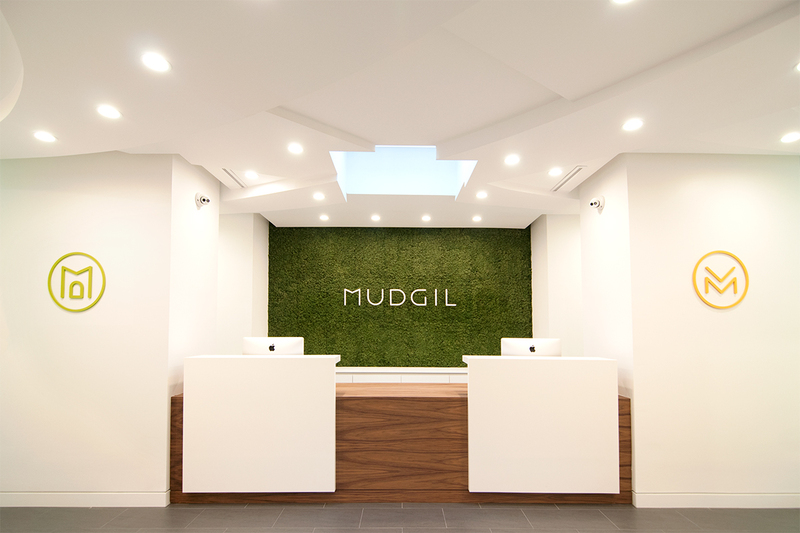 Mudgil Practices, a co-located dermatology and dentistry practice, has opened in Hicksville, Long Island, New York. 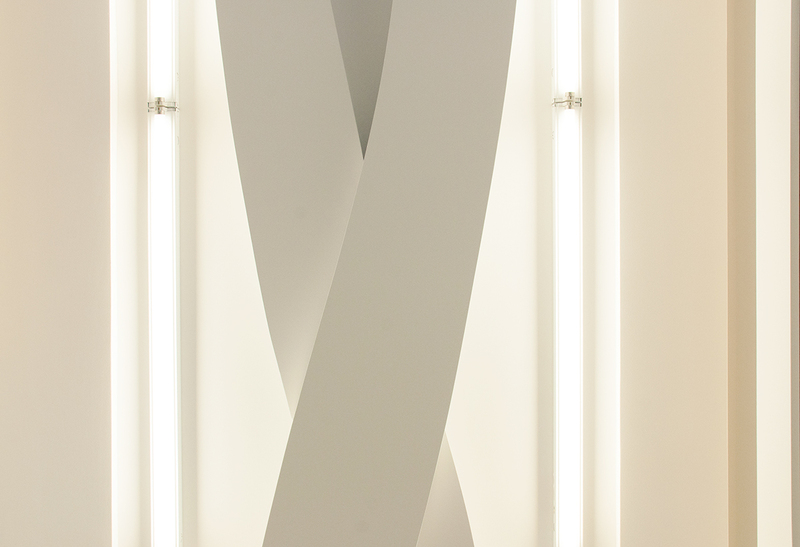 The clean, minimal design for the modern doctors office by the UP Studio in Long Island City, New York, creates a unique architectural, interior design, and brand design identity for the practice. “The reactions from our patients have been remarkable. No one has seen an office like this in the area," says Dr. Adarsh Vijay Mudgil. Now open for business, Mudgil Practices delivers dental and dermatology services from a shared, modern doctors office with a clean, minimal aesthetic.The co-location of Mudgil Practices enables the doctors to significantly reduce their expenses by sharing key medical equipment, office equipment, and occasionally, even staff. Designed by the UP Studio (http://www.theupstudio.com), the new office is unlike any other medical practice in the area. Mudgil Practices came to UP with a challenging request: to design "the MoMA of doctor's offices." The husband and wife team of a dermatologist and dentist wanted to house their medical practices in a shared, but separate, office space with a contemporary aesthetic. The space’s main design feature is an extruded ceiling plane inspired by the circulation patterns throughout the office while simultaneously representing the unity of the two doctors within a shared space. UP’s primary goal was to eliminate the confusing circulation patterns commonly found in doctors offices and to create a simple plan which would help ease patients’ anxieties. By distributing the required programmatic elements to the perimeter of the building, allowing as much natural light to enter those spaces, a Central Hall was created. While generating the two separate zones of the project, the Central Hall also provided clarity within the space and a sense of calm for the patients. UP studied the circulation patterns of the patients, doctors, and staff. These circulation patterns were combined and then grafted to the ceiling plane creating a unifying gesture that unites both companies and the overall experience within the space. Each practice utilizes state of the art equipment. The dermatology side is comprised of Boyd Industries surgical chairs, Medical Illuminations International surgical lights, CONMED Hyfrecators, and UVbioTek narrowband UV lamps. On the dental side, Henry Schein’s Dental team helped provide assistance in selecting the A-dec dental chairs, A-dec dental lights and monitors, A-dec 12 o’clock treatment dental cabinet, and the Planmeca ProMax 2D S3 Imaging Center, all of which complement the clean architecture. The dermatology practice had been using an existing monogram created by OPTO design at their other locations. Using that single logomark as a foundation, UP created a monogram for the dentistry practice and an entire custom typeface that coincides with the existing mark. UP also created a shared identity that would identify the practices as a single entity. This mark was created to represent the two practices sitting side-by-side.